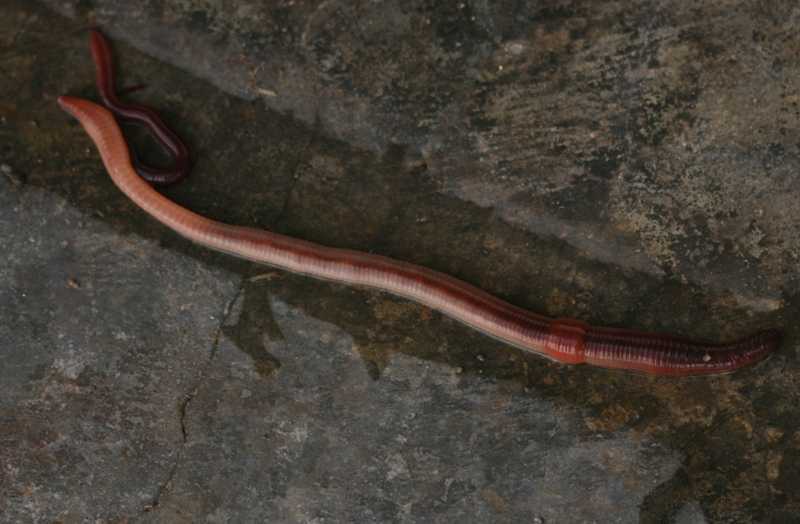 Scientists have long recognized the importance of earthworms to soil fertility, aeration, and the health of good soil. Their presence should be encouraged. As they tunnel deep into the soil, they feed on organic matter. Their digestive tracks are highly adapted to its burrowing and feeding on the soil that passes through their body. As the soil passes through the digestive track, digestive fluids containing enzymes are secreted that release amino acids, sugars, and other organic nutritive products from the decomposed plant and animal materials swallowed. 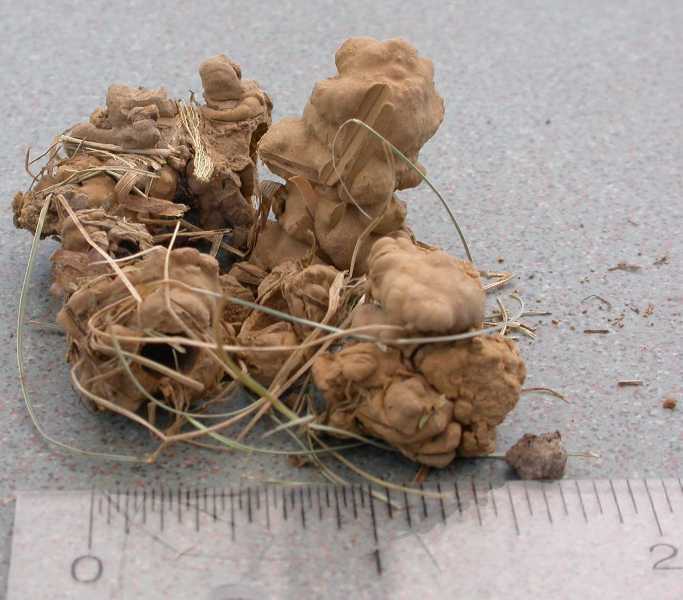 When the worms rise to the soil surface, they excrete nutrients in the form of casts. Casts contain considerable amounts of carbon, nitrogen, phosphorus, and potassium which are all essential nutrients for plants. 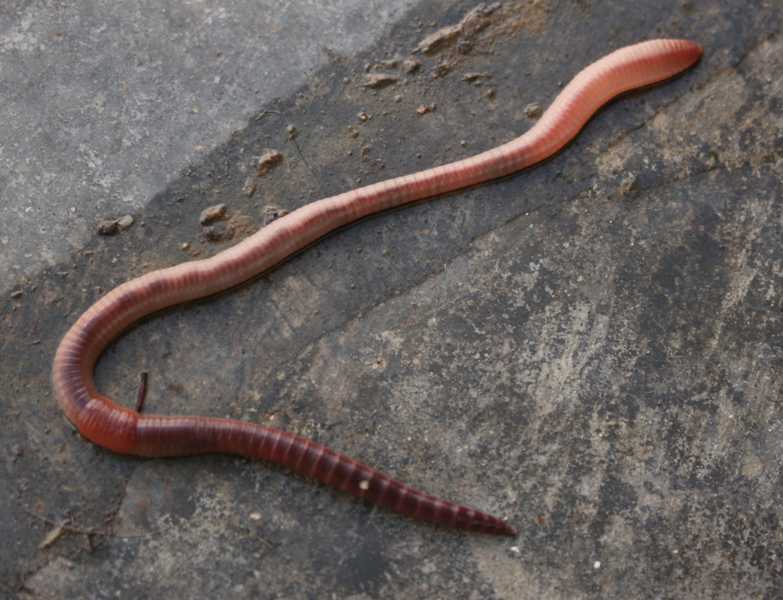 Many earthworm species occur in our Midwest soils, each adapted to specific habitats. Nightcrawlers are the most familiar and dwell deep in the soil. At night they come to the surface and feed on leaves and other organic material but during the heat of the day they retreat to deep soil burrows. They can not tolerate temperatures higher than 55 degrees F. They produce the large castings often seen in yards. Other worms commonly known as garden worms, field worms, manure worms, or angleworms, are also found in garden soils. 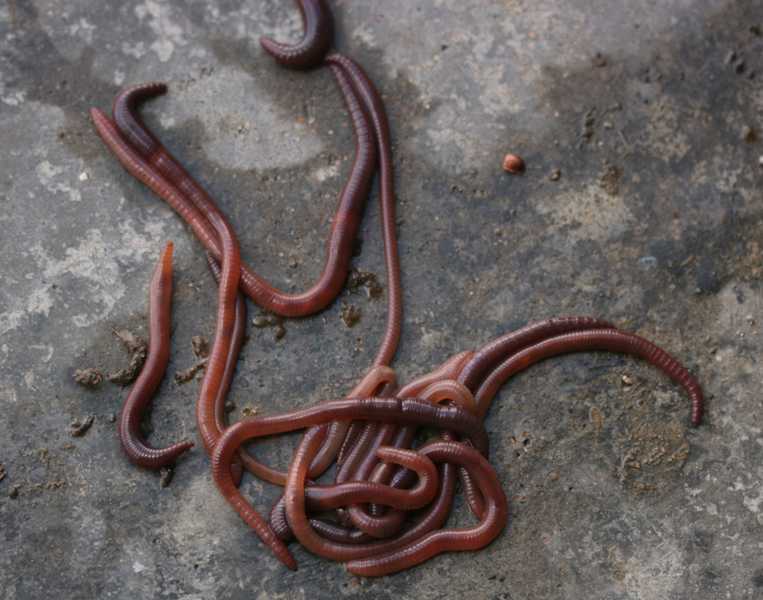 These worms are found mostly in manure piles, compost piles or in soils containing large quantities of organic matter. They can live at relatively low oxygen and high carbon dioxide levels, and survive in water if the water contains dissolved oxygen. The commonly used insecticide carbaryl and the fungicide copper sulfate are highly toxic to earthworms. Soil eaten by earthworms with organic matter is deposited on the soil surface as castings and is beneficial to the soil. 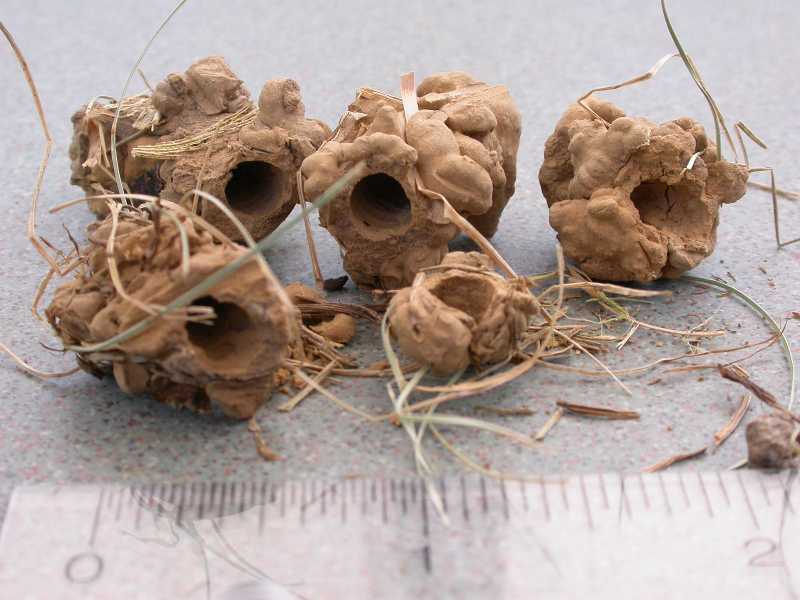 Large castings like these from night crawlers may be a nuisance on putting greens and other highly maintained lawns.